Last night, at the Chopin Theatre, I participated with more than a dozen ridiculously talented poets at the Gwendolyn Brooks Open Mic Award presented by the Guild Complex. The range of voices and work being created in Chicago thrills me. I was delighted to make it to the finals and while I didn’t win I was okay with it because I had such a wonderful experience. 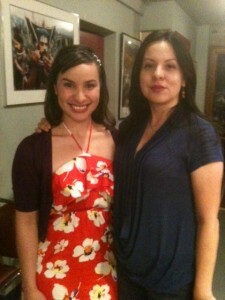 I got to meet Stephanie Perez, a fabulously fierce poet and performer. Congrats to Stephanie and all the poets that participated and also the hard-working staff over at the Guild Complex.